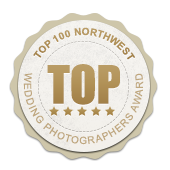 Back from a refreshing break in Mexico, Wirral wedding photographers, Pixsmiths, were excited to take delivery of two more stunning albums we’d love to show you. You may recall an earlier post with two other album options. 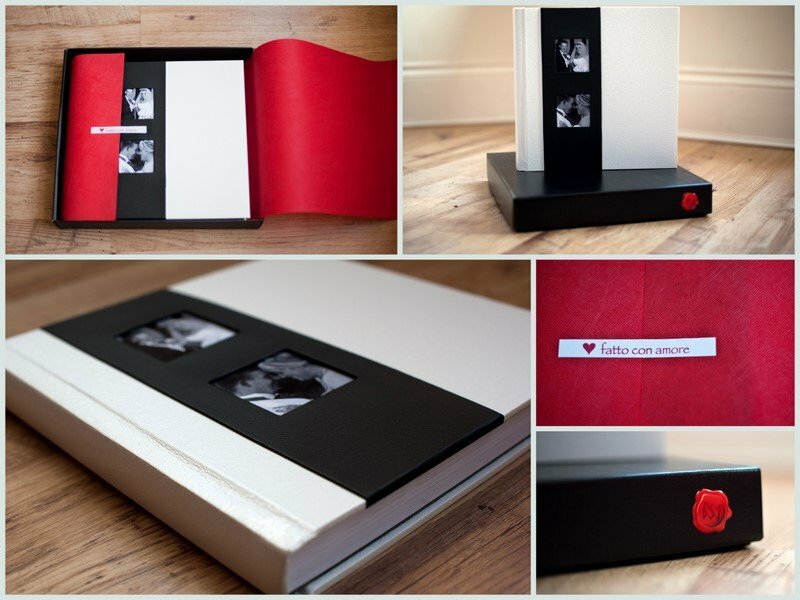 First a luxurious bespoke designed Italian Album – the finest Italian wedding album supplier. They are stunning, with completely lay flat pages with a silky texture, so gorgeous and smooth. 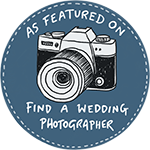 Really a fantastic way to showcases your beautiful wedding images. The cover has a contemporary Ostrich pattern this can be in black, red or white, as shown here, with a contrasting black vertical strip with integral double aperture for two images of your choice. Its a beautiful album, thick pages on a board – just shouts of quality. 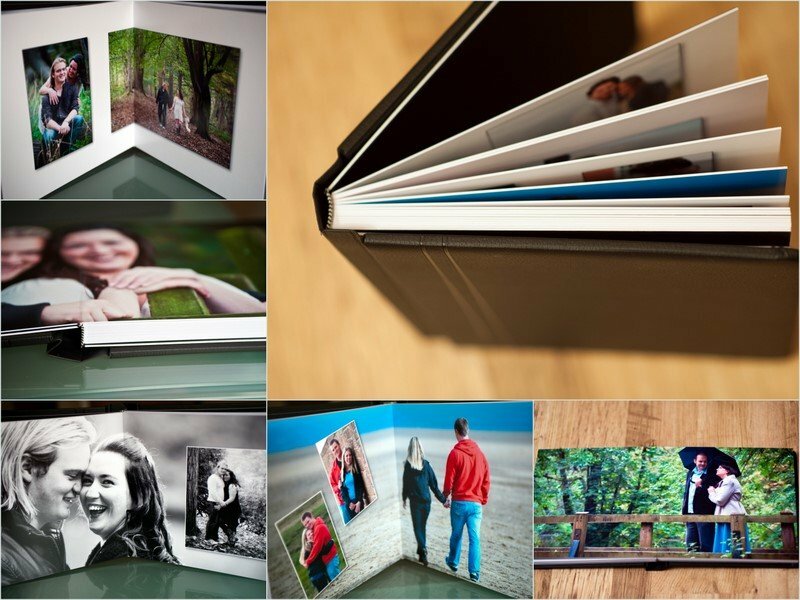 Our other new album is handcrafted in the Northwest – equally beautiful – they look great with a photocover or fabric – various colour and patten options Leather and acyclic options are coming soon too.Lay flat style too, so great for panoramic spreads. Boards on this are thinner but thick options also available. Its great to support local companies too, especially with such beautiful products. Various sizes and parent copies are available for both of these album choices. 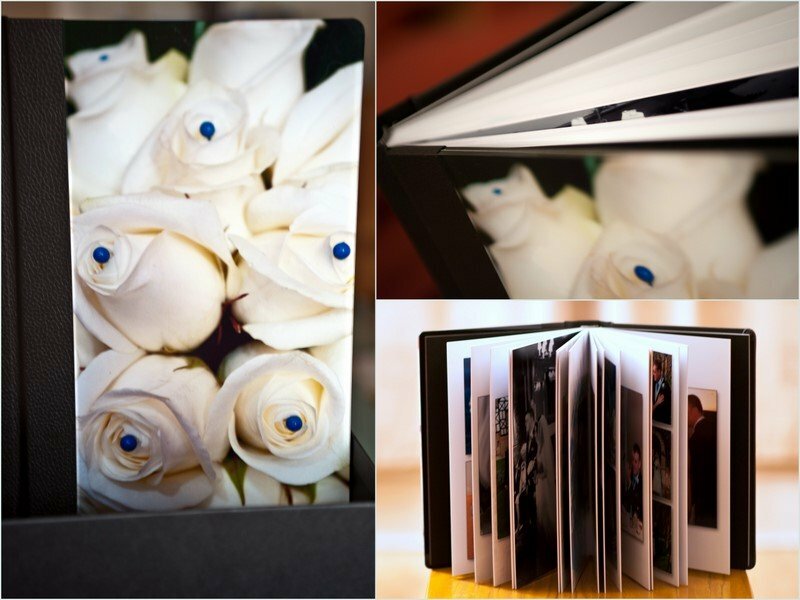 We love to give you the great choice and variety of albums, carefully researched as quality products, something to suit everyone’s style and taste. We are confident you’ll love these albums, we do! – but don’t take our word for it – come and see for yourself – there’s nothing like holding them in your hands for yourself. Albums can vary so much its a must to see them before deciding on your investment. 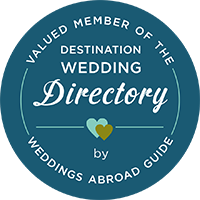 Your beautiful wedding deserves to be recorded beautifully, not just with images but a stylish, contemporary album that will be treasured for years to come. We are super excited to unveil the contents of two boxes that arrived not so long ago. Two beautiful new albums from a professional album company we love to use. They recently streamlined their album design and ordering process and that along with the modern, contemporary cover options it was a no-brainer. 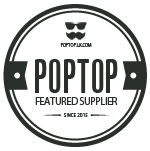 Quality and customer service from our album suppliers are super important to us – we carefully research all our products for you. 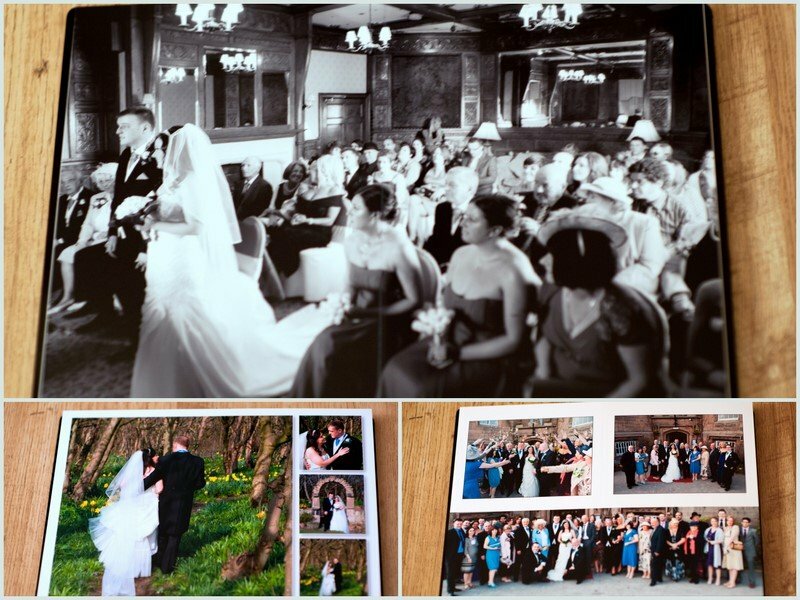 They are flushmount albums – professionally printed images on hardboard which can be spread across 2 pages to make beautiful panoramic images. Beautiful wrapped in a cloth swag bag and boxed for safekeeping. We love these new albums and are confident that you will love them too. 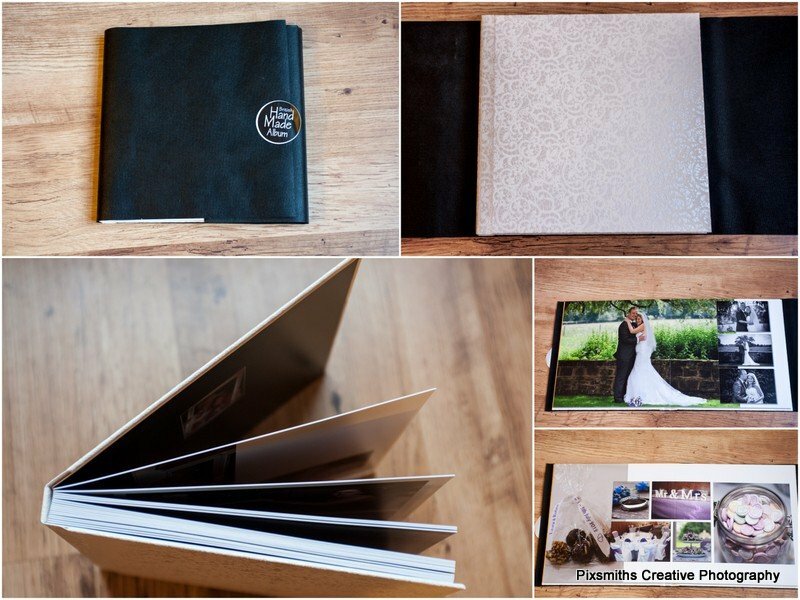 One album is sized 10 x 10 with a plain cover, in a soft, subtly textured synthetic material that is luxurious to the touch, with two deep impressions on the spine side, to create a subtle yet distinctive panel effect. 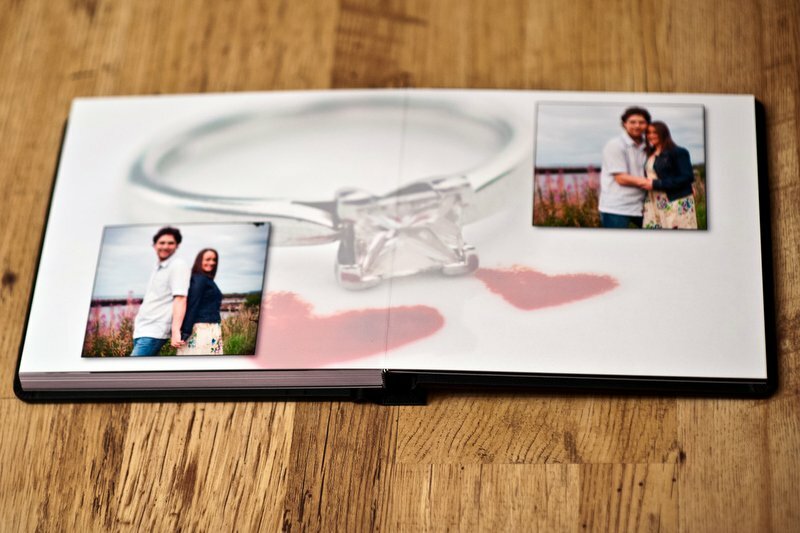 The second album is A4 sized, bound in luxuriously soft faux leather and features an acrylic panel on the front cover on the reverse of which an image is mounted to create a truly personalised and contemporary album. 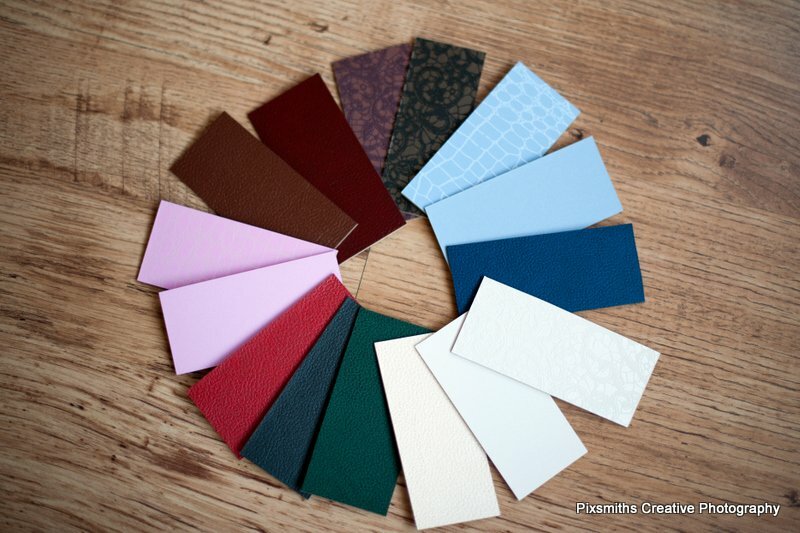 The album colours are normally black or ivory but other colours are also available from a comprehensive collection of quality materials. 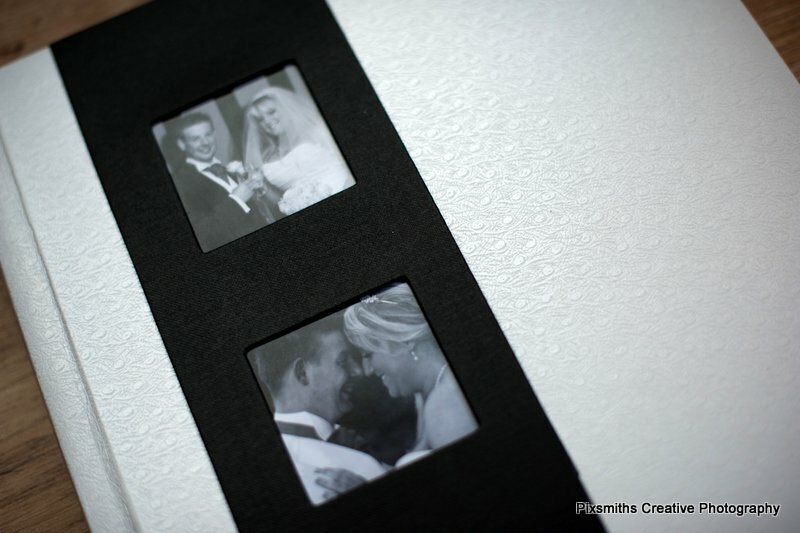 Various size options are available – smaller, larger and parent albums – just ask us for details. 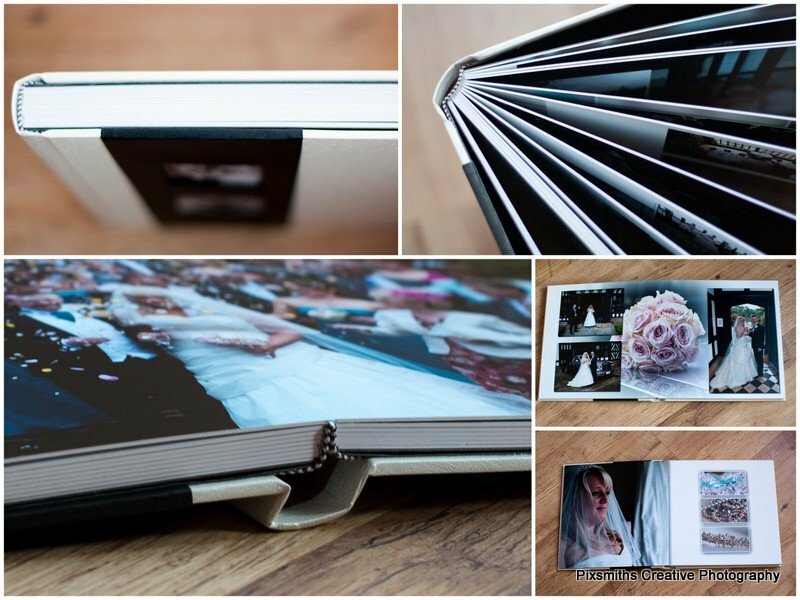 These gorgeous albums, shout quality and will really showcase your wonderful wedding images or even engagement session images for years and years to come. An album to treasure for you and generations to come.